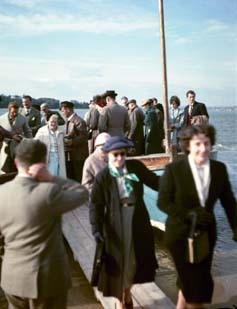 Medium format Agfa colour negative from 1957. 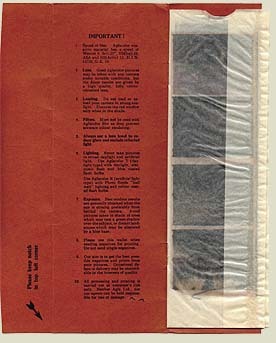 Agfacolor film had a clear film base while Kodak used an orange filter in the film base. 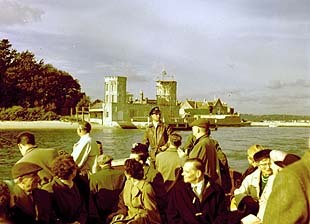 Film scanners can produce badly distorted results from old Agfa colour negative films because the scanner is designed to be biased towards orange base colour negative films. With old Agfacolor negative film, the emusion side of the film is also glossy that can make it hard to distinguish from the glossy base side. This can result in reversed image scans. 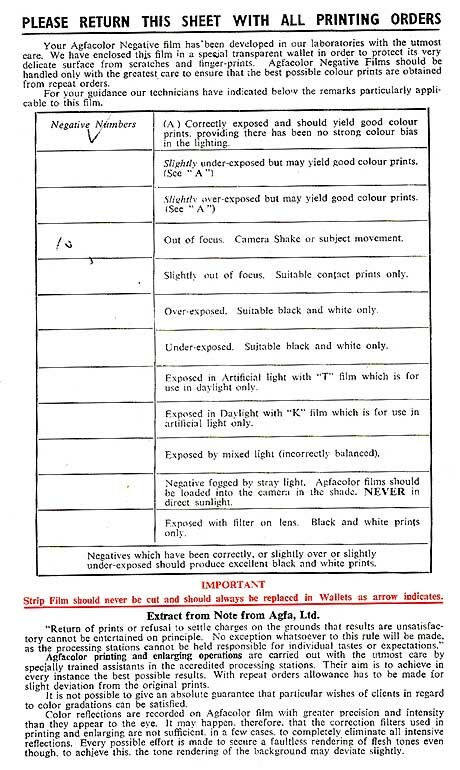 The exposure range was restricted to a speed of only 12 ASA and under or over exposed images could produce a colour cast. Filters were applied during photographic printing to compensate and produce the most natural-looking results. 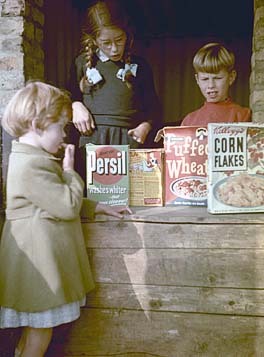 And under or over exposed images, like the one shown below, were marked for printing in black and white only. © David Green 2013 From the same roll of film, the colour cast can be modified digitally to produce more natural looking monochrome pastel shades. 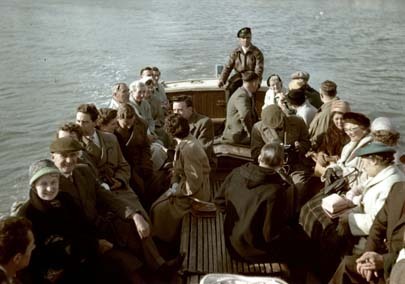 © David Green 2013 When the film was correctly exposed within the optimal range, as shown with the image on left, would result in a natural colour result. Agfacolor L NT medium format negative frames showing the clear film base.